The IoT 2020 is based on the Intel Galileo 2 and is a flexible IoT Gateway for makers and comes with industrial Certifications. In this projects I wanted to demonstrate the flexibility of the platform in an industrial application and hence selected a simple Boiler Controller. I used a water pump as a fuel pump and use gravity to turn a flow sensor for a steam turbine. It is simple but effective. To demonstrate the flexibility of the system I am using 4 programming languages on the same platform simultaneously. The code is written using the SDK provided by Siemens and is executed on the IoT2020 natively. I tested it out using a python script that ALSO runs on the IoT2020 itself. For remote sensors, I used an Arduino UNO with an ethernet shield to send data to an MQTT broker. 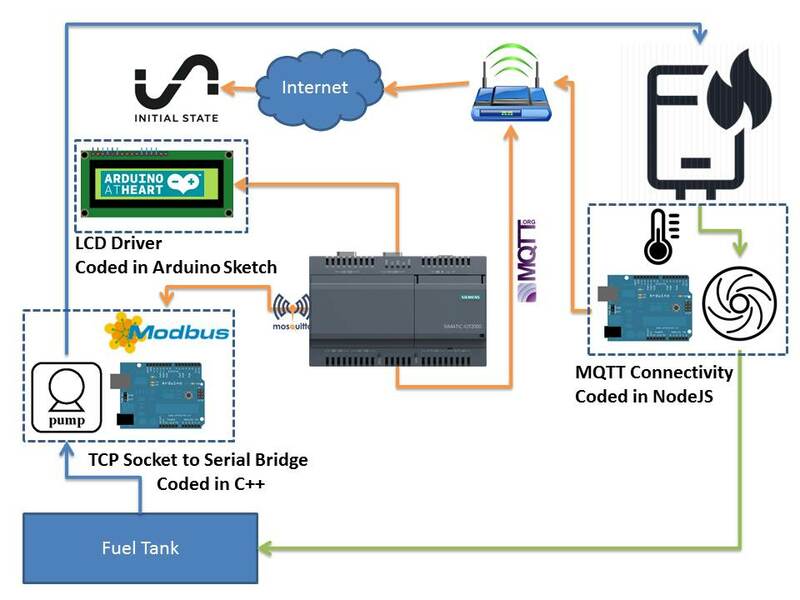 Mosquitto runs on the Iot2020 and relays messages to a NodeJS service. Later I move the NodeJS service to Node Red but the Arduino sends data over the local network on a single topic. This data contains temperature data from an LM35 as well as a flow sensor. The system can be manually controlled as well using buttons on the local dashboard. Here is a small explanation and demo video of the code as well as every individual module.